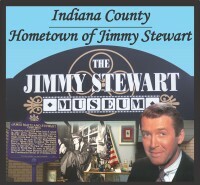 Located in the heart of the Amish community of Smicksburg this museum is situated in a converted house which contains a wealth of historic memorabilia from the surrounding area. *****We will be closed from December 15th through the middle of April. Step back into time as you travel to Northern Indiana County, home of a large Amish population which has grown to over 800 settlers since 1961. The Amish pursue a simpler lifestyle, operating farms and other businesses in ways that have changed little in the past century. Take notice of the fields being farmed with horses, and the small school houses where young children play in simple clothing as you drive through the beautiful countryside with rolling hills and gentle curves. The people are hospitable and wave as you go by, but please be careful to respect their lifestyle and take no pictures of the Amish folk. Drive slowly through the area being courteous to Amish traveling in horse-drawn buggies, and enjoy over 20 specialty shops along the way, offering country crafts, quilts, furniture, and foods. Smicksburg or "Schmicksburg," West Mahoning Township, Route 954 was founded in May of 1827 by Reverend J. George Schmick. Reverend Schmick was a Lutheran minister who purchased land from Charles Coleman. The Smicksburg Post Office opened October 1, 1830. John Kerr was the postmaster at that time. Kerr was also the blacksmith. The borough was incorporated in 1854. Before leaving the Smicksburg area, be sure to visit Windgate Winery located on Hemlock Acres Road, just off Rt. 954.?Schedule a tour of The McCormick Mansion nearby on SR 4018. 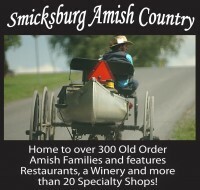 Antiques, vintage, repurposed, upcycled and handcrafted treasures in the heart of Pennsylvania's Amish Country. Thirty plus local vendors! Located in the heart of Smicksburg Amish community, they offer home-style meals, as well as, homemade breads, soups, and desserts. Old Smicksburg Park is a 33-acre park located in Smicksburg Borough, in northwestern Indiana County. Since its establishment in 1827, Smicksburg has undergone significant changes. The park provides an opportunity to preserve the history of Smicksburg, interpret life of an early American village and provide an area for outdoor recreation. The park offers hiking trails for walking, birding and wildflower study. 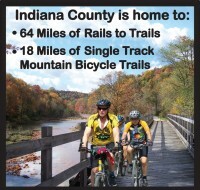 It also has picnic tables, portable restroom and a canoe or kayak access to the Little Mahoning Creek.